Tupperware has been around since 1945. This high quality product line, built to make it possible to avoid disposable containers, has undergone many changes. 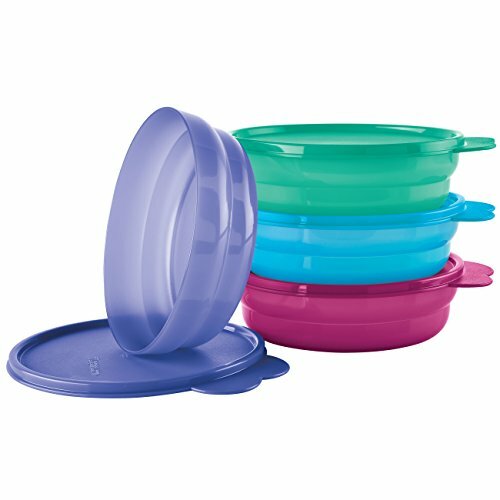 Per their website, all Tupperware products sold in the United States and Canada are free of BPA or Bisphenol A which makes microwaving Tupperware safer. Tupperware sold in the United States and Canada since March of 2010 is BPA free. The containers safe for microwave use have the microwave-safe emblem on the bottom. This image features a box with squiggly lines. Tupperware is also generally dishwasher and freezer safe. These containers are convenient, durable and easy to care for. If you’re comfortable with microwaving Tupperware or any other plastic containers, you can reduce the risk of damage and staining by stirring the product frequently. Break up any frozen portions to encourage heat to move across the dish. This will reduce the amount of time the food product boils directly against the plastic. Tupperware has issued a chart of plastics found in their product line that may reduce your microwaving concerns. What’s The Fuss About Bisphenol A? Bisphenol A is a plastics hardener that’s been used in our food containers and can liners for more than 40 years. We’ve all been exposed to it and there’s a chance we’re all carrying some around in our tissues. There’s a risk that Bisphenol A can impact the brain and endocrine system, particularly the prostate gland, in infants and small children. Bisphenol A has been phased out of food containers and replaced with a new hardener, Bisphenol B. Only time will tell if this hardener is completely safe. If you’re concerned about chemicals from plastic leaching into your food when you heat it, move it to non-reactive containers prior to microwaving. Experts with Real Simple recommend glass or ceramic as safe for microwave use. Plastics are everywhere, and avoiding them can leave you with few options. Glass, while non-reactive and easy to care for, is heavy and can be dangerous if broken. Current food storage data suggests that plastics are quite safe for food in cold conditions, so consider your refrigerator and freezer plastic safe zones, but keep it out of the microwave. It’s important to state again: If you’re worried about plastics and heat, transfer the food to a non-reactive glass or ceramic dish before microwaving. Tupperware is an iconic brand that has been around for many years. These flexible, easy to store and pretty containers are ideal in both the refrigerator and the freezer. The combination of plastics and heat can be worrisome. If your plastic is marked microwave-safe, current research agrees that your container can be heated with no impact on your food.